Watch the 'Hello' video on YouTube. Listen to the 'Hello' on Spotify / Soundcloud. Since the Californian label Burger Records released their self-titled debut album in 2014, the band has embarked on international tours with The Growlers, Unknown Mortal Orchestra and together PANGEA, crisscrossing the United States and Europe. In 2016 the band released 'Great Pile of Nothing', a more introvert and mellow LP. 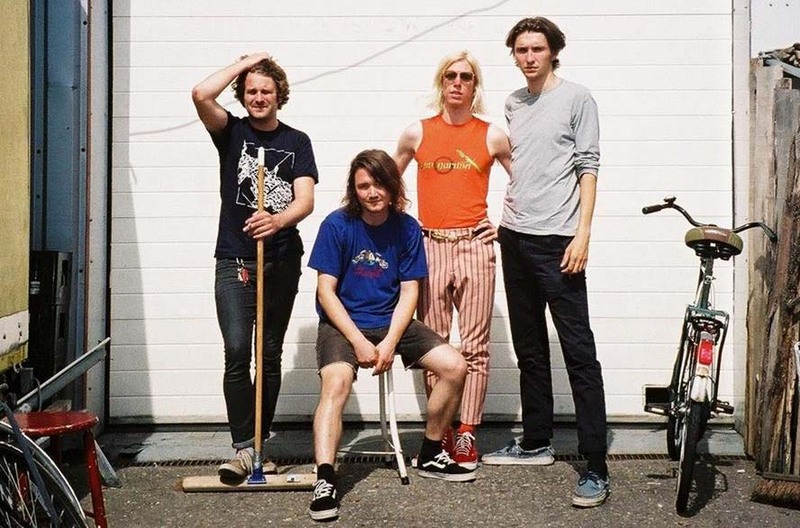 Over the past year the Eindhoven-based Mozes and the Firstborn have been recording new tunes for their third full-length album. Embracing the feel of a mixtape, they blend their favorite styles and genres into an intriguing conglomeration of songs. The band has worked with a number of producers, including producer/mixer Chris Coady (Beach House, Slowdive) and Roland Cosio (together PANGEA, Fuzz). 'Hello' is all about stepping out of our comfort zone and overcoming fears and other obstacles in our lives. Filmed by Mart Beek, the song’s music video is the quintessence of going the distance, a single-shot film of Melle Dielesen running in a marathon while singing – and, at times, smoking a cigarette. It’s not about succeeding; it’s about setting yourself up for greatness. You “have to show something of yourself from time to time and dare to say hello,” Dielesen reflects. If we’re not pushing ourselves, we’re stagnant – a passive state that’s far too easy to get used to. Thankfully, we now have a provocative song and video like “Hello” to keep up the momentum when our legs get tired, and we slow down. Raucaus and energetic, Mozes and the Firstborn’s latest release is a garage-y explosion that promises to brighten your day.